As a parent, I love spending time with my son and watching him grow into a sweet, young man. I enjoy going on dates with him and teaching him how to respect others. I even like when he occasionally wakes me up in the middle of the night just to snuggle. But one thing that I especially loovveee about parenting is dressing him up. I love anything to do with fashion, whether it’s for women, men, or children. It doesn’t help that my son enjoys trying on different clothes and having his picture taken. Needless to say, we make a good team. 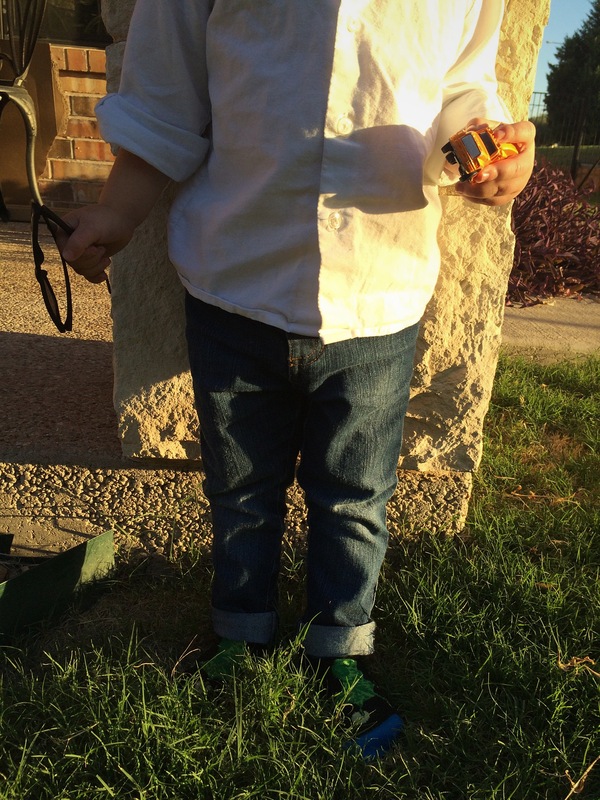 Since Isaac was a newborn, I’ve frequently received requests from other parents about how to dress a toddler. I get excited when people say Isaac looks cute — not because I take pride in him looking nice, but because I get an opportunity to share with them my secrets of toddler fashion. 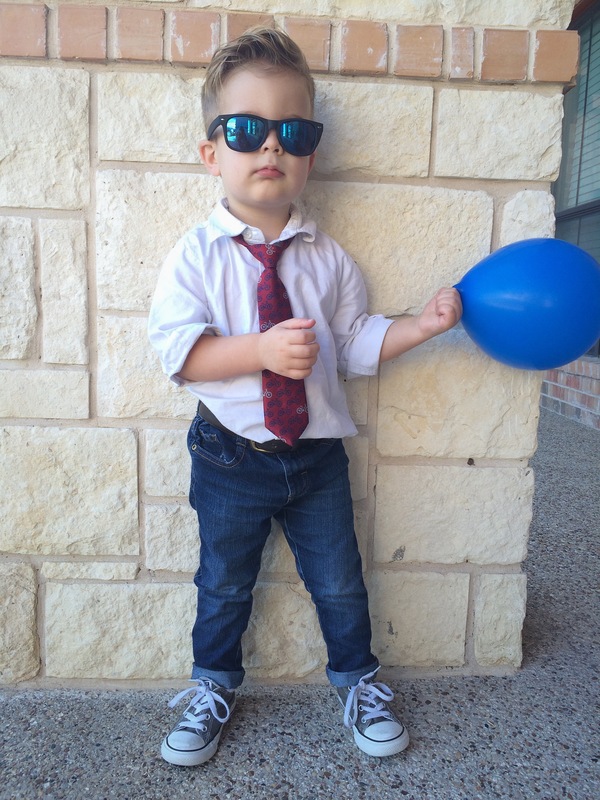 It’s really not difficult to dress a toddler. I follow a few “rules” when dressing Isaac, but what it really boils down to is this — don’t be afraid to mix and match different looks until you find one you like. My goal is to share a new “rule” I follow every time I post about toddler attire. The easiest, most basic rule I follow is this: Create a go-to/base outfit. My go-to outfit for Isaac is a solid color dress shirt, blue jeans, and a tie. It makes for a super easy, dressy-casual outfit that looks like mom put a lot of thought into it (but in reality, mom only had five minutes to dress her child). If your style is more relaxed, find a pair of shorts/pants and a t-shirt that matches your style. The secret to a base outfit is having a variety of the same articles of clothing — multiple ties with different patterns, multiple vests in different colors and styles, multiple styles of shoes, etc. Another example of a way to change an outfit around is by having multiple shoes to choose from for your chosen wardrobe. For the outfit in the first picture above, I used a white dress shirt (rolled sleeves), a bicycle print tie (because Isaac loves bike riding as much as I do), straight-leg blue jeans (rolled), a brown leather belt, and grey All-Star converse. For a bonus touch, you can accessorize by adding a hat or sunglasses. Again, this all depends on the style you prefer. I’ve found the way to pull off any outfit is confidence — this goes for all ages. When your child is wearing something he/she really likes, he/she will wear it proudly. One thing I do with Isaac is ask what he wants to wear before dressing him. Sometimes I line up a couple outfits and have him pick, or I allow him to walk in his closet and decide for himself. He likes the freedom of being able to pick his own clothes (especially ties). This is the biggest hurdle I believe parents have a hard time crossing. If your child is completely clueless when it comes to fashion, create a few outfits, line them up on the bed and allow your child to pick. You’ll get a feel for what outfits he/she is drawn to most and that will help decide what style best suites your child’s personality. Great write up, Love it!!! Love the outfits AND our boy!! !